If you’ve been in Dallas more than an hour, you know the traffic alone is a telling sign that Dallas is a city experiencing major growth. More people equal more restaurants too, which makes it hard to stay on top of the food scene. Unless that scene includes vegan, then all ears up. Are you listening? You should because eating vegan out in Dallas has never been easier, or more delicious. A short time back trying to go out to eat as a vegan in Dallas was a challenge. Today, the only challenge is choosing what you actually “feel” like eating and getting to that place in the shortest amount of time. 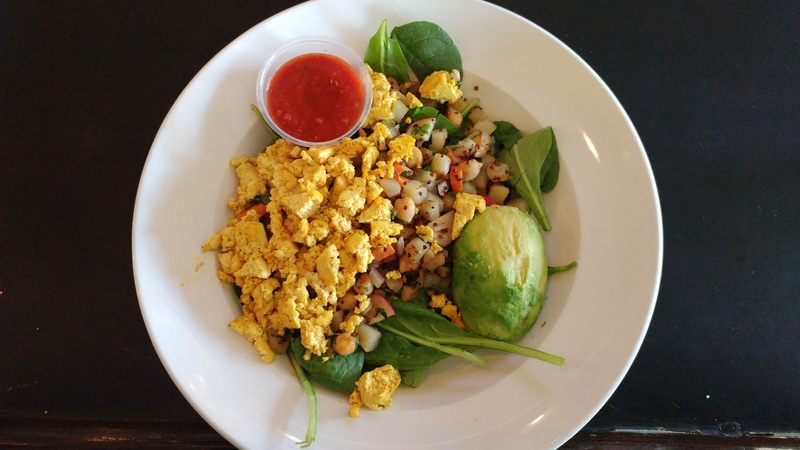 No longer subject to less than a handful of choices serving the same ole same old, the Dallas vegan scene is plentiful these days. Name your poison and I can guarantee there’s a place I can send ya. This is why I decided to start listing my top five dishes each month. 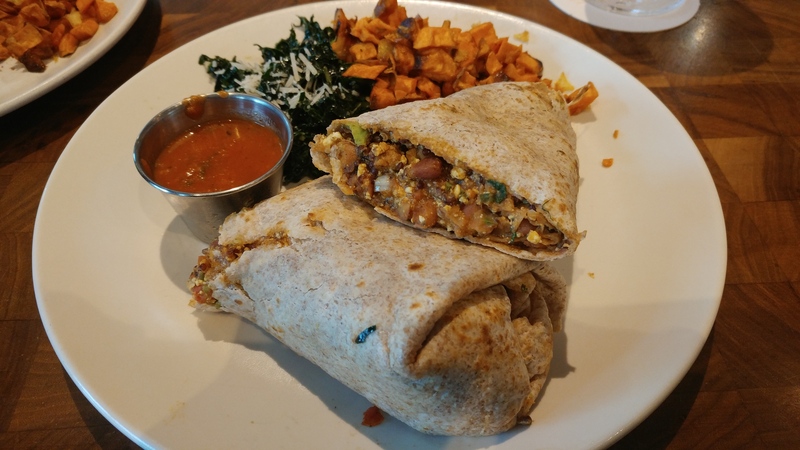 To show and tell you, how easy it is to eat out as a vegan in Dallas. I’m not rating, but recommending these dishes. I can assure you if it’s on my list, it’s that good. This is my go to dish about twice a month. It’s packed with flavor and spice and I love it sits on romaine lettuce. 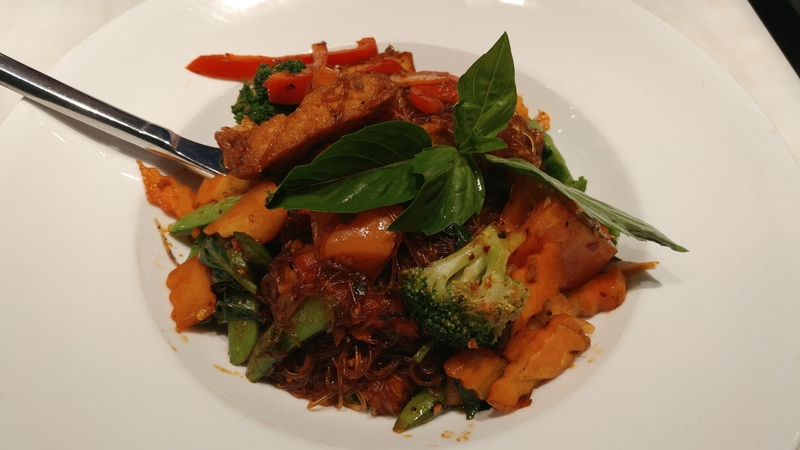 The clear noodles are low carb so yo don’t feel overly stuffed after devouring, which you will. Make sure you order with vegetables and tofu without the egg. Another go-to dish that I treat myself to frequently. I know that looks like eggs, but its tofu. This bowl has all my favorites such as spinach, scrabbled tofu, potato hash, avocado, and salsa. One of the best brunch spots in town, but they offer this bowl all day everyday. 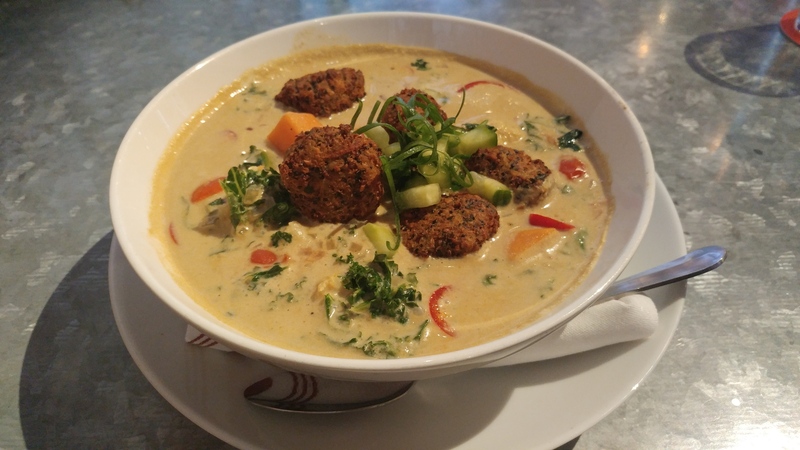 The Yellow Curry with Quinoa “Meatballs” at HG Sply Co.
HG has a lot of vegan options, hello queso! The curry dish really stands out as one of the best I’ve ever had. The added “meatballs” gives the dish added protein too. I can never finish the whole bowl, hello queso! You’re welcome. This burrito is so good. Filled with tofu, beans, quinoa and spices like turmeric; it is one hearty dude. It’s the perfect Saturday brunch meal after you’ve spent the morning completing that long workout. Note: If you order a side of kale salad, make sure you have them remove the breadcrumbs and parm to make it vegan. They forgot to remove the parm in this photo (real world problems). I absolutely love the creativity at Blue Sushi. Using unique ingredients their rolls are fresh and the selection is wide. The best part, they have one of the best happy hours in town. 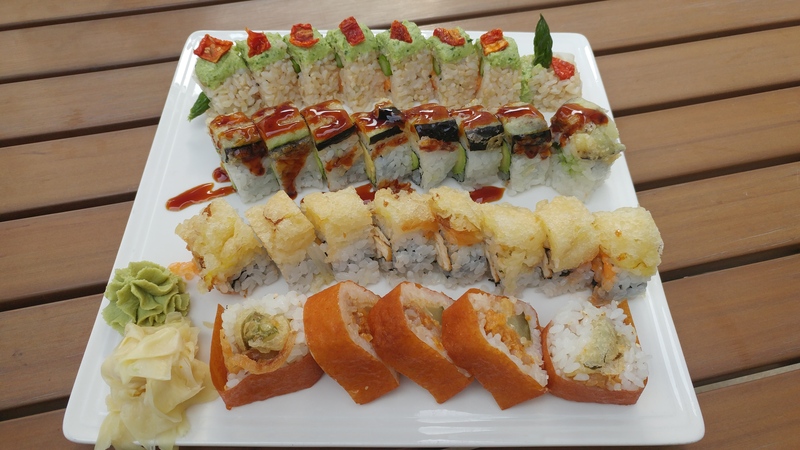 From front to back my favorite rolls are the following: Cowgirl, Crunchy Cabbage, Prince, Eden Roll. All these restaurants cater to various diet requirements or restrictions. Go ahead and grab your vegan and non-vegan buds. At last you can all join together for a day lunch, night out, or a group brunch. I assure you no one will leave hungry. Thanks, Kat. Some of these restaurants I have not been to so will definitely check them out. You have done all the leg work and all I need to do is just eat!